Hi everyone, hope you are all well! I noticed these little gems on one of my occasional ventures to Superdrug. 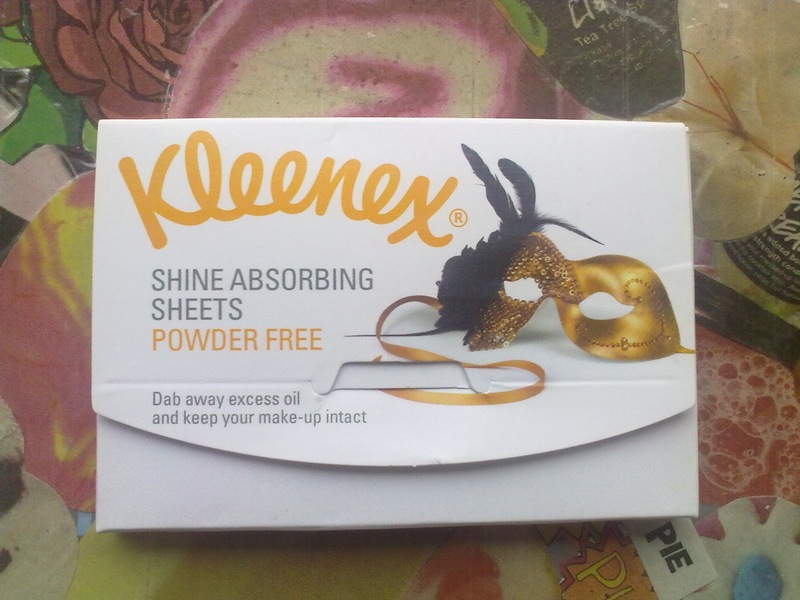 They were on a huge display along with several new Kleenex facial products at half price, so I decided to try some. I've never tried oil absorbing sheets before, and I have to say I'm pretty impressed! My T zone gets a little oily towards the end of the day, but these gems sort it out a treat! "An essential for every busy woman's handbag, the Shine Absorbing Sheets provide an effecient and discreet way of blotting excess shine caused by oil that builds up on your skin during the day. The sheets remove the shine without disturbing your makeup so are fantastic for quick touch-ups to keep you looking immaculate." 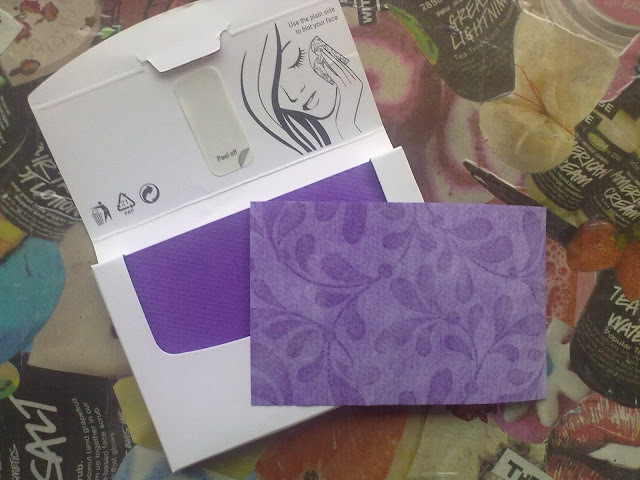 These are priced at £2.99 for 50 which is extremely good value, seeing as one tissue is enough for my whole face! I paid £1.50 for mine as they were on a half price introductory offer - complete steal! I can't really comment as I haven't tried oil blotting sheets before but I really like the fact that they are powder free. I hate the idea of putting something powdery on my skin! The colour of them and print on the reverse are just beautiful and the packaging is really cool. It comes with a peel off adhesive, so when you open the packaging, it automatically pulls you out a sheet! Cool, huh? I'd really recommend these to people whos faces get a little oily during the day for a quick touch up. Furthermore, they leave your makeup intact, which is a bonus! Have you tried oil blotting papers before? Which are your favourite? ooooo I need to get myself some of these. I used to buy ones like these when I was younger. I must try them again. I had no idea that Kleenex makes these now! I'm super stoked. Oh I must try them, I have from really oily skin. good value,and they're so cute too! !